Some context where this is going. The SLC (red cred) is basically the back of the park at the moment - you can even see the quite distinctive cut off line! The front of the park is just next to Hyperion; you can see the castle entrance just to the right of it. This shows just how much this new area is expanding the park in terms of size, and it's only going to get bigger! 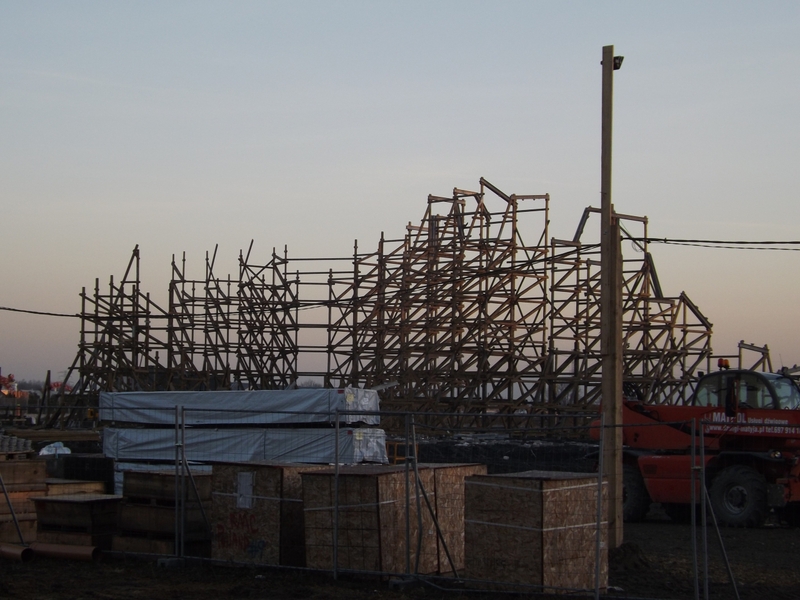 Footers for the ride going in - this is going to be one dense coaster! It'll be interesting to see just how much and how ready the area is when the ride opens this year. Has it been confirmed for a 2019 opening? or just speculation with how quick the progress is? 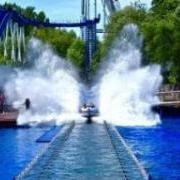 It was confirmed to a German theme park magazine by the park they intend to open it in the autumn. The park themselves haven't officially announced it via social media / their website, but then again, they haven't even mentioned it at all through those methods. Proper dense structure. Going to look brilliant once it's up I reckon. 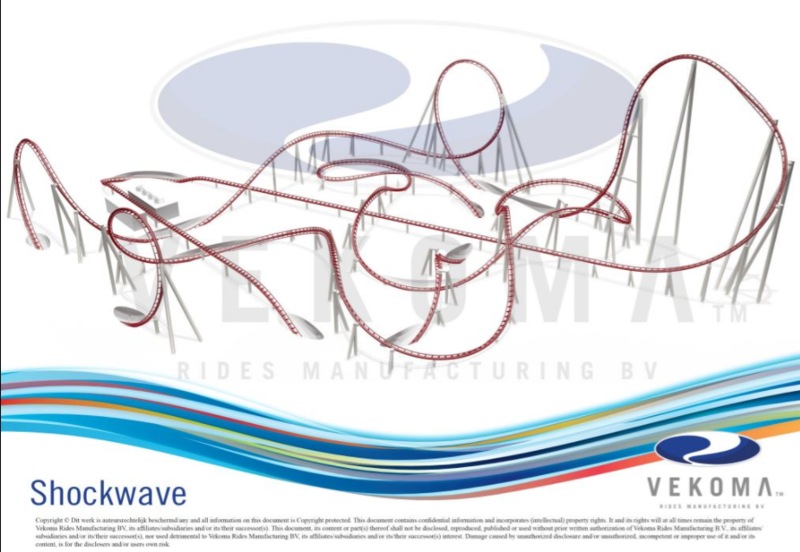 It might be worth holding off till 2020 to get the water ride at Legendia and the kiddie cred and multi launch Vekoma at Energylandia mind. 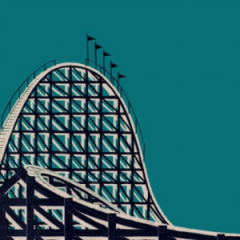 Especially since 2021 is meant to be a quiet year for Poland..
Just to remind people as well - they haven't even started work on the lift hill yet. Everything you see here is for the rest of the track! Looking fantastic already. Can't wait to see the finished product, and eventually ride it. Confirms that the RMC will indeed be called Zadra (which was previously on announced as a codename, and is Polish for 'Splinter'). Given the map marks Zadra as a 'New', and the rest of the Dragon's Castle area as 'Coming Soon', I guess it's still possible for Zadra to open this year. As an aside, let's just appreciate how nice the Energylandia map is. Zadra is looking great so far. Glad to see Europe is starting to open up some more RMCs now. Just hope this one is now structurally sound, given what has happened. Maybe I will visit next year? Energylandia seems to be one of the fastest growing parks of Europe (if the fastest) and I look forward to seeing what they produce. Their new stuff seems to be tenfold over what has been plonked down in their early years. The Vekoma double launch, potentially over water, coaster appears to be going behind Zadra / the Dragon Castle area. So this one effectively just a small launch with a little extra twisty turny bit before the ride.